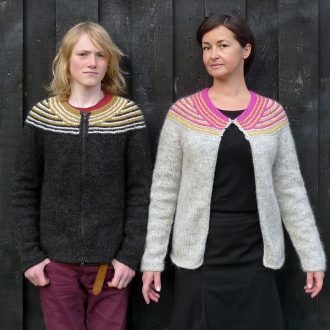 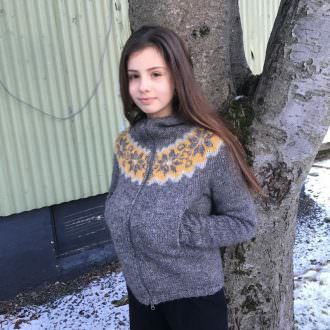 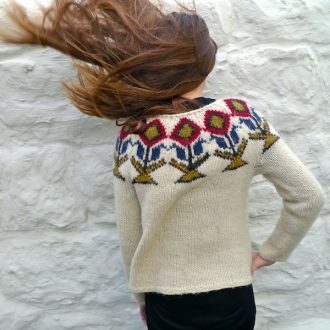 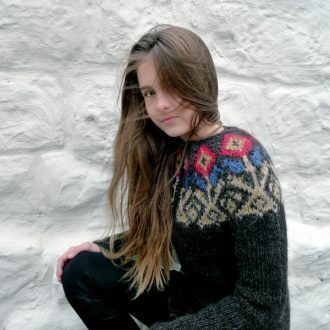 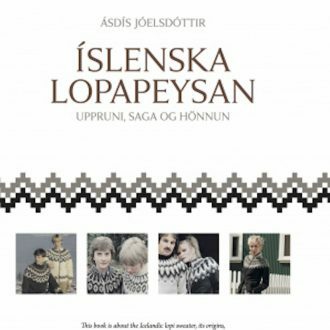 “The Icelandic lopi sweater is made from unspun Icelandic wool (lopi) in natural colours and knitted on circular needles, with a band of pattern around the yoke and a section of the pattern repeated around the lower part of the body and the end of the sleeves.” This is the definition of the lopapeysa given by Ásdís Jóelsdóttir author of the book Icelandic lopi sweater, origin, history and design: This book is a version of the key results from a larger and more comprehensive study which was published in Icelandic in 2017. 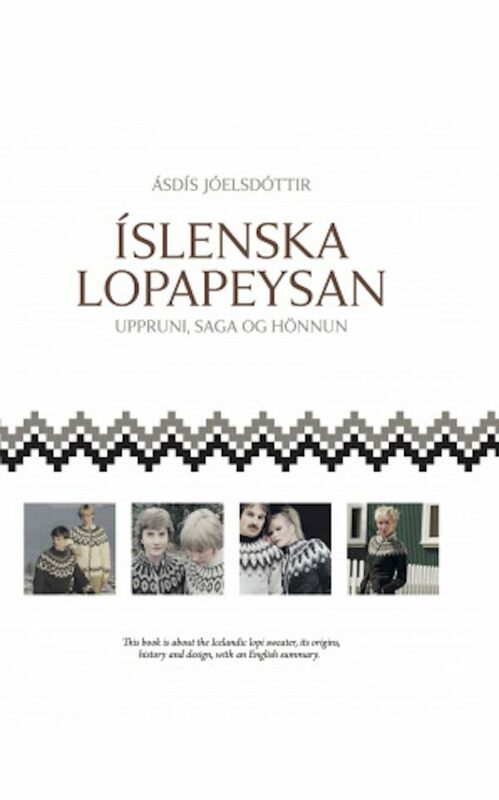 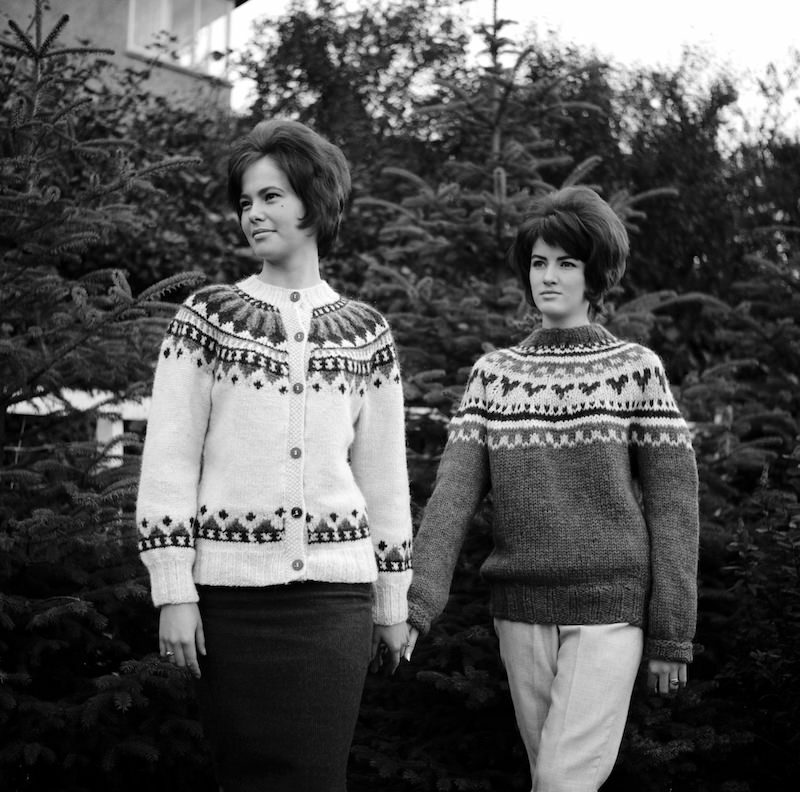 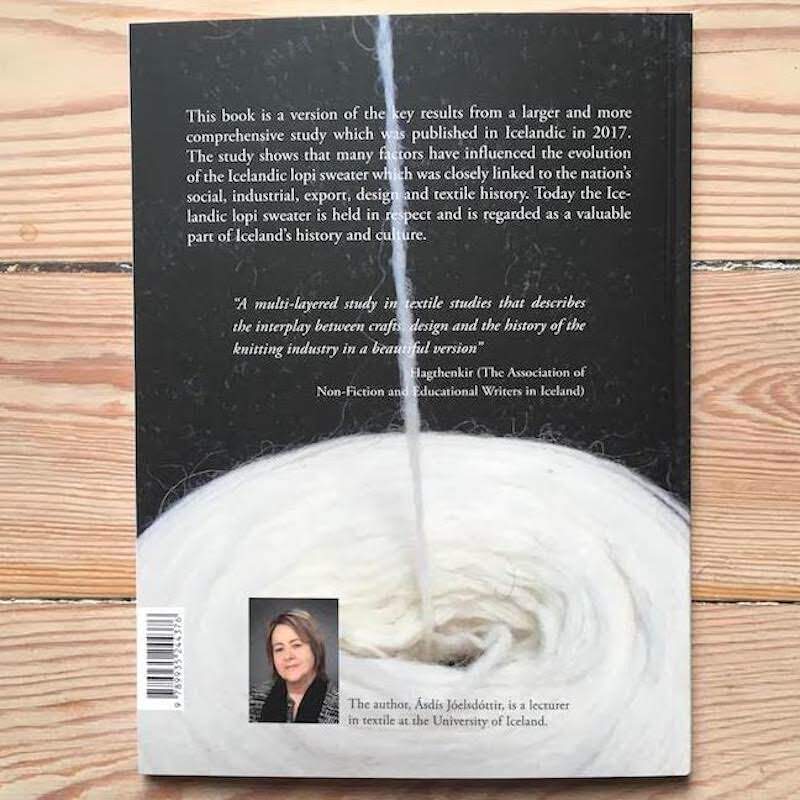 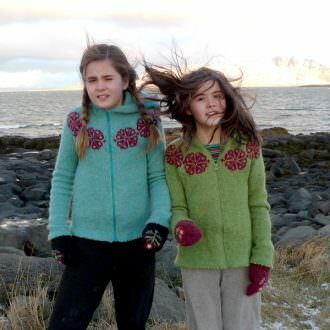 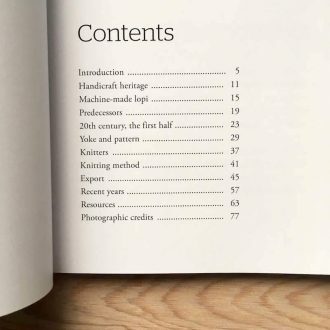 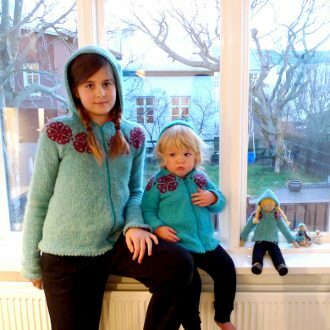 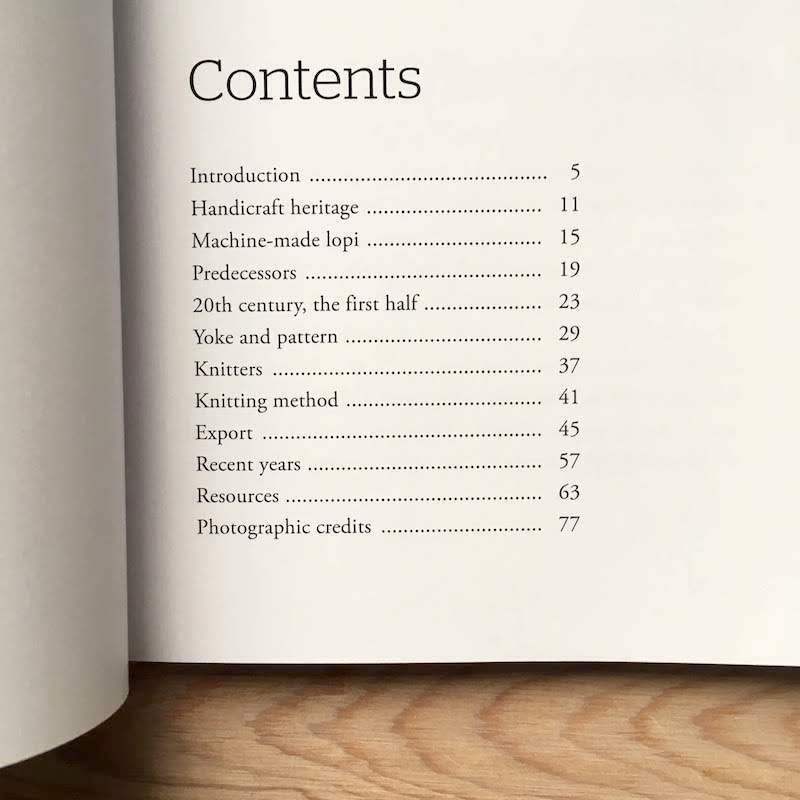 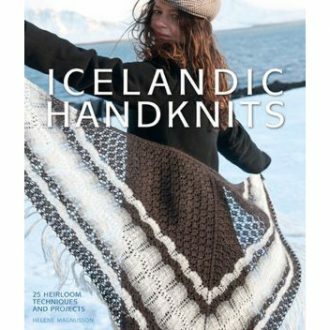 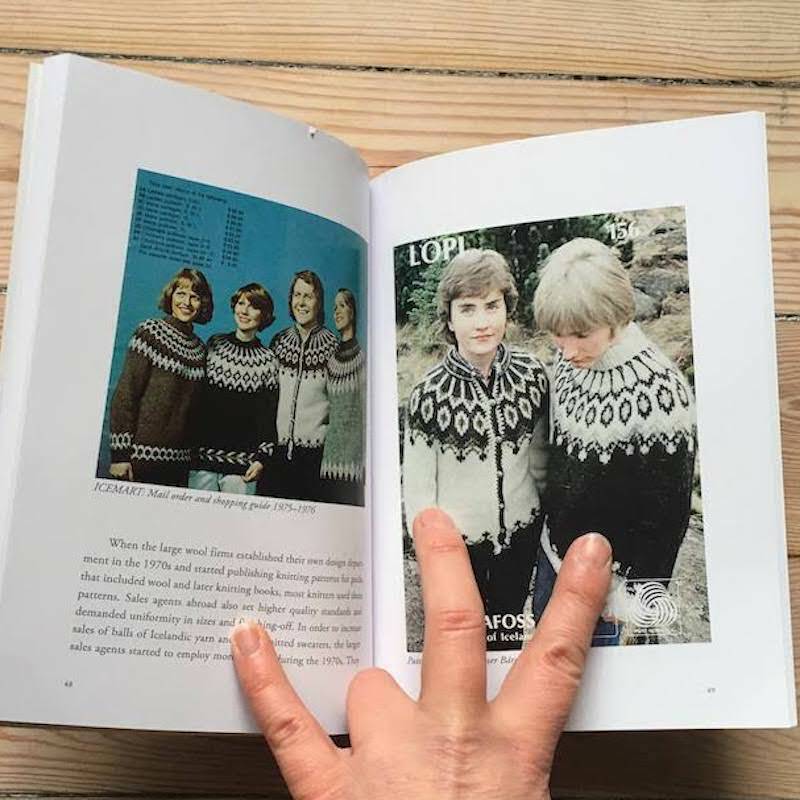 The aim of the book is to explain the origins, history, and design of the Icelandic lopi sweater. 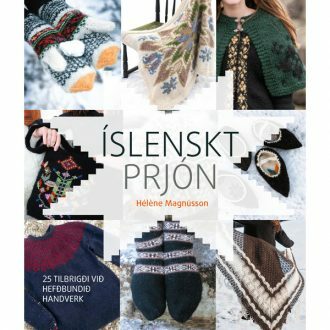 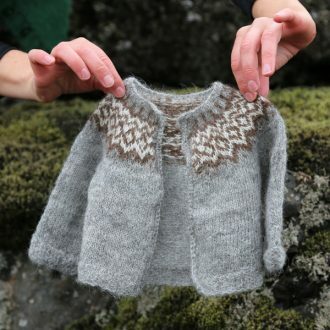 The study shows that many factors have influenced the evolution of the Icelandic lopi sweater which was closely linked to the nations social, industrial, export, design and textile history. 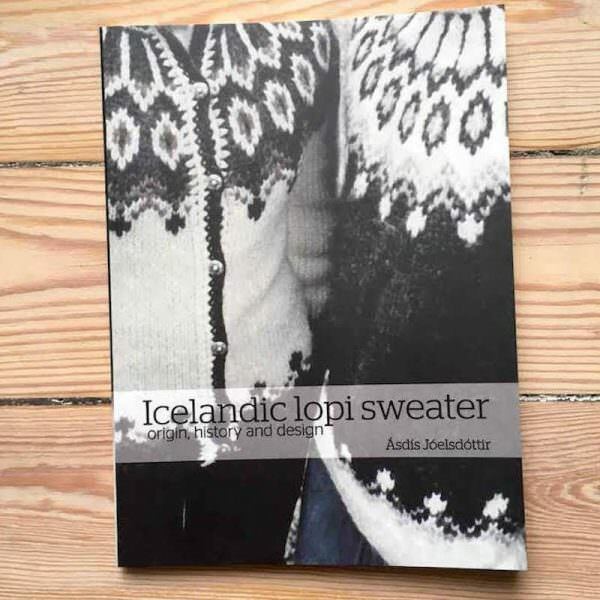 Today the Icelandic lopi sweater is held in respect and is regarded as a valuable part of Iceland’s history and culture. Note that the book doesn’t contain any knitting patterns. 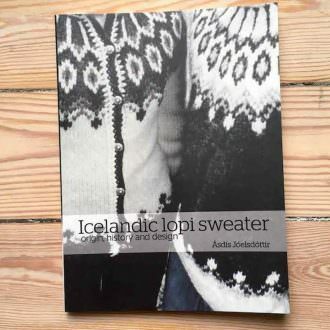 Ásdís Jóelsdóttir is a lecturer at the University of Iceland and the author of different studies about textile and design.